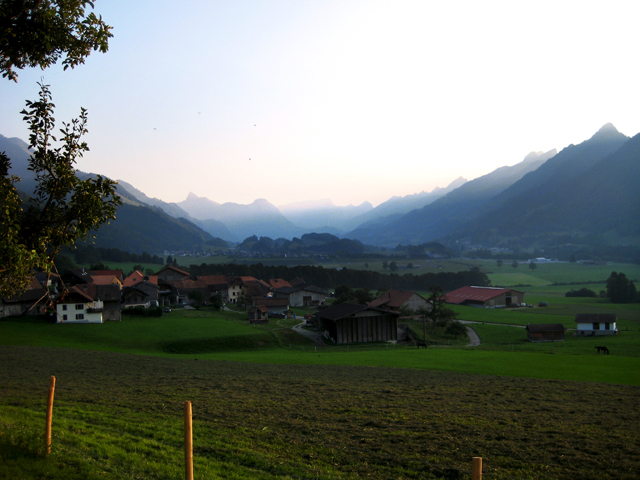 I came to Switzerland to work for a landscape architecture firm located in the Pays d’Enhaut (high country) mountains of the French-speaking canton Vaud. When I first arrived in this region, I immediately noticed that the alpine landscape was so strong, the built environment appeared to be little more than a collection of whimsical toys at its base. The landscape dictates the site selection, form, and mobility of the built environment, which is largely designed for the most minimum impact possible. Buildings are predominately south-facing to maximize sunlight and roads are only seasonally available for use. This point was well emphasized at the Estavannens community opening ceremony for their new school playground designed by my firm. It was well-designed, had good aesthetics and appropriate proportions, but could be summed up as a sliver of space that was terraced into the side of the mountain. Looking at the playground, one sees a great community asset embedded in the slope that contributes to the overall layout of Estavannes. However, while standing in the playground and looking out, one sees just how minute the space actually is. Observing the whole picture, one sees that the playground is a small manipulation in the mountainside that adds to everyday valley life. My principle best articulated what it means to design and build in this mountainous region. Referring to the firm’s newly awarded playground project in a neighboring community, she explained, “the space is not so sublime, but it’s nice to feel for once that what you design will not always be worse than what was there before.” As designers, we ask ourselves what we can contribute to the environment with each project. 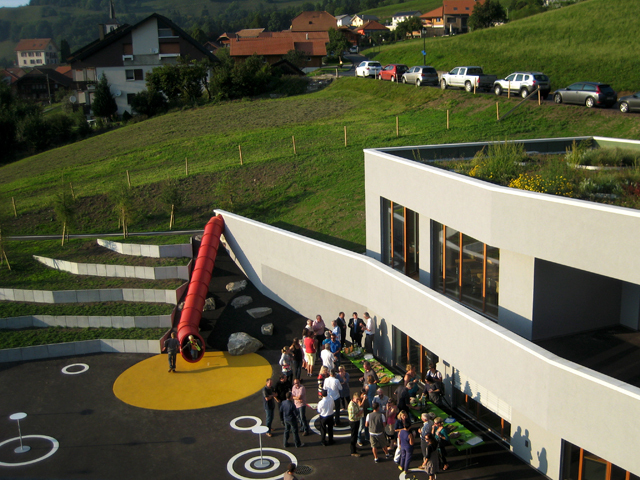 In the Pays d’Enhaut, the landscape architects have become proficient in design approaches that complement the natural environment while building a higher quality of community life. Lindsay Reul is a MIT Master of City Planning 2012 graduate, who is spending three months in Alpine Switzerland to do a deep-immersion study of landscapes, design, and homemade breads. This post is part of the Fresh Eye Friday photo series.